Another file hoster has bit the dust. All your files are lost to them. 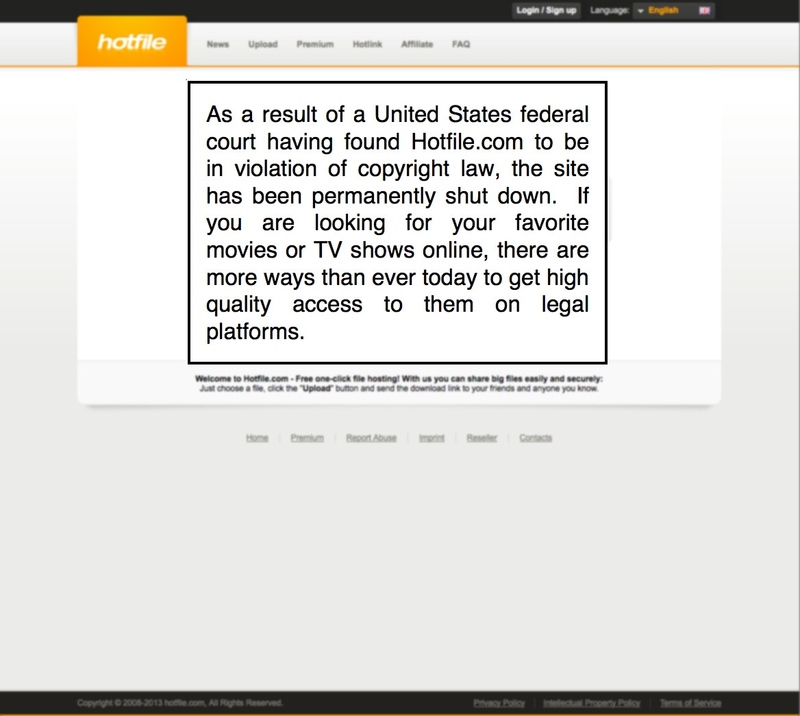 "A few hours after news broke that Hotfile had signed a $80 million settlement agreement with the MPAA, the file-hosting service has completely shut down. The drastic decision to deny access to millions of files without warning will come as a shock to the countless individuals who used Hotfile to store their personal and business documents. Hotfile has yet to comment on the controversial move which does nothing to help the image of cloud hosting providers." The possible return of Dark_Alex ??? Do not fear EPeople, you have not clicked on an old topic - and this is almost the year 2014 ! Clearly a PS4 controller sitting in the dark. If you don't know, Dark-Alex was one of the main people responsible for many of the PSP hacking scenes achievements, paving the way for most of the ground work of the PSP hacking scene. Could DAX be returning now (after going dark in the psp scene, and never being heard from in the PS3 scene) to the PS4 hacking scene with.. something substantial to bring to the table ? or could this be fake ? Has someone taken over DAXs old web domain? No one is sure for now. DAX being as creditable as he was in the PSP scene - could he be the one to lead the way in the PS4 scene ? Surprised to see Persona make it's way to the Nintendo 3DS despite them receiving 2 other Shin Megami Tensei franchises within the past few years with, Persona Q! Not Surprised by the recent announcement of Persona 4: The Ultimax Ultra Suplex Hold coming to the PS3. The biggest surprise, the BIGGEST surprise over these announcements however goes to the Vita announcement of Persona 4: Dancing All Night. AOL announced that anything Winamp related will be shut down on December 20, 2013. The last version of the program was released recently, but will be taken down on the shut down date. Although I don't use Winamp anymore, it was a pretty awesome player in the early days, and still has some unique features. Hopefully they'll decide to open source it. As Thanks for over 10000 Downloads, Im releasing a new Version of the Beat em up Homebrew Naruto Ultimate Ninja Battle, which is the continuation of Naruto Ninja Battle! It is signed, based on the Battalla Ninja 2.5-Engine by tonos and written in LuaPlayerPlus! --[NEW] Added FIGHT1 and FIGHT2! --[NEW] Added New Fighting Ground: Kabutos Cave! --[NEW] Added Edo Tensei Itachi! [NEW] Added Game Controls Explanation at the Beginning! [NEW] Added a new Minato! -Delete every Charakter which isn't used in the war since Kabuto! Quote: The United States Patent and Trademark Office has upheld a key Apple multitouch patent in a move that could have real ramifications for companies like Samsung and Motorola moving forward. The USPTO issued a certificate on September 4th confirming the patentability of all 20 claims of US patent number 7,479,949. An initial ruling back in December of last year had rejected them, but this latest reexamination certificate basically walks that back in its entirety. The '949 patent covers multitouch functionality, such as the ability for a device to interpret a diagonal downward swipe as a purely vertical gesture in order to allow pages to scroll smoothly and consistently for users. It's a patent of particular note as it's been used by Cupertino against both Samsung and Motorola. In fact, it's one of the patents at issue in the ITC's recent ruling to ban the import of some Samsung products into the United States. As a result of that ruling, Samsung will have to ensure that the devices it sells in the US do not infringe upon any of the involved patents — and with this latest USPTO action, one avenue through which to resolve that issue has been shut down for good.